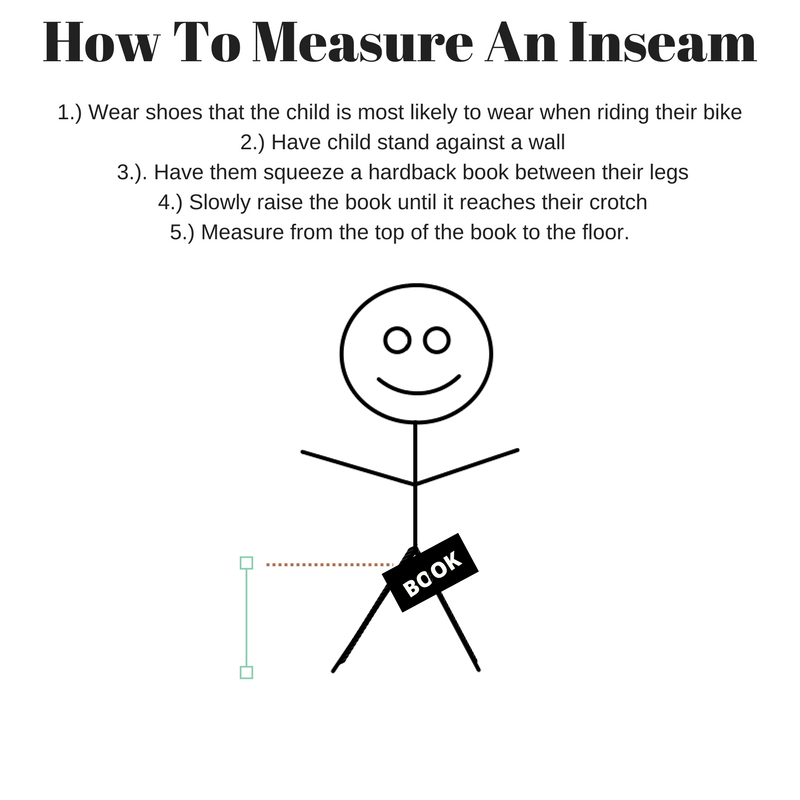 The inseam (inside leg) measurement is very important when it comes to buying the right sized balance bike. When a child rides a balance bike, their feet should be able to be flat on the floor while sitting on the bike. This is so that they can push along the floor to power the bike to move. To ensure the seat is at the right height for children to push along with their feet, their inseam measurement should be approximately 1 inch less than the seat height. So how do you measure an inseam? What Do I Do With This Measurement? When looking for a balance bike, take one inch from this measurement. That measurement is the size of the seat height that the child will need when riding the balance bike. So check the seat height of the balance bike you are purchasing and make sure it will accommodate your child. It’s also worth bearing in mind how much growing room the bike offers the child. Ideally you want the maximum seat height on the bike to be a couple of inches more than their inseam to allow for some growth.